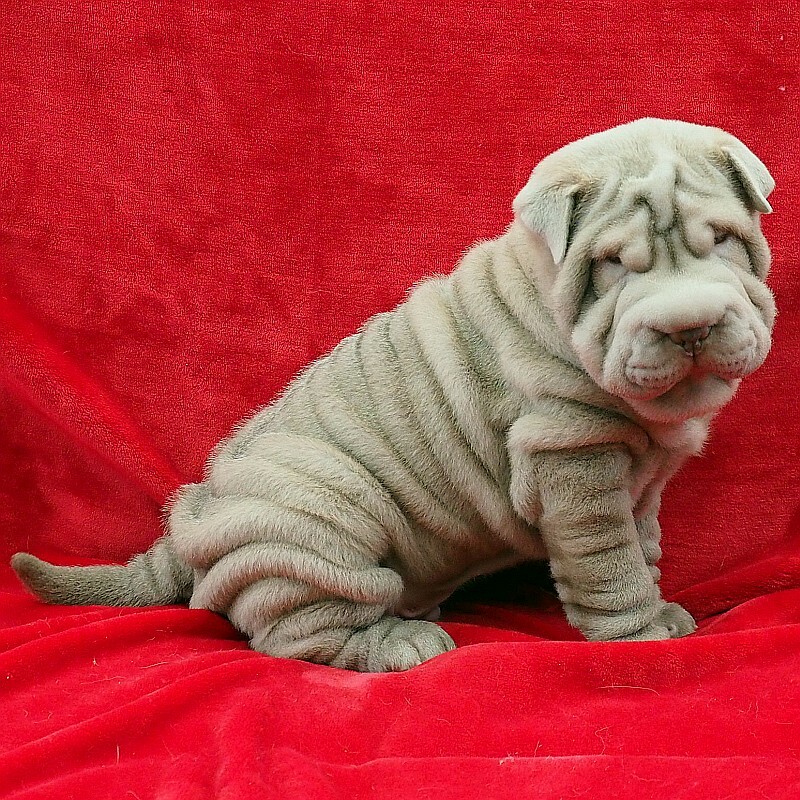 Unless you found us by accident, you are either here because you are looking for top-quality Shar-Pei or Chihuahua puppies, or simply because you are interested in one or both of these breeds. All of our lives my wife and I have loved dogs, and over the years it has been - and still is - our pleasure and privilege to share our lives with a number of these incredible and unique creatures. 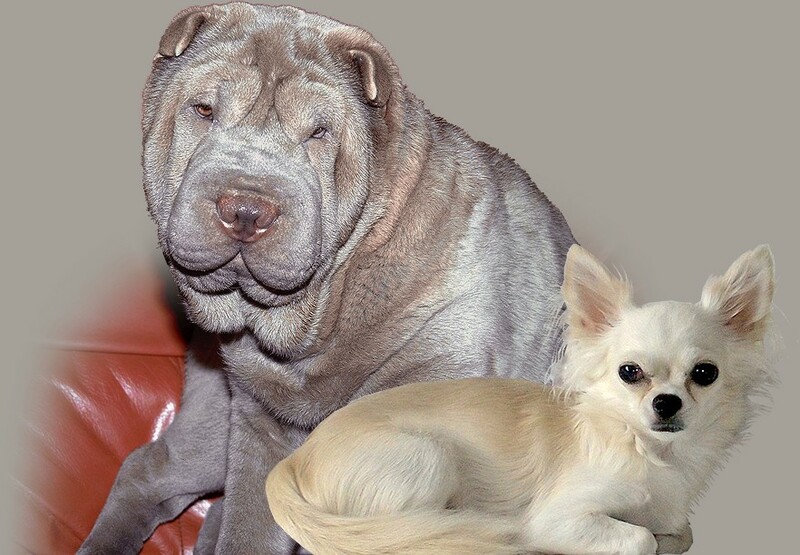 As you might imagine, Shar-Pei and Chihuahuas are very different in so many ways (not only size), but they live together side-by-side in our home and get on as one big family, of which we are grateful to be part. After a series of people saying they were going to come to see our puppies but not show up, even after confirming that they were definitely coming, we are now asking that anyone serious about buying one of our puppies pays a holding deposit when booking a viewing. Otherwise the puppy will still be considered available should anyone else contact us. We offer a live video viewing service (via Skype, WhatsApp or Facebook Video Messenger), so you can see the puppy before travelling. We will also expect you to prove your full name, land line phone number, details of your home and what you will provide for your future puppy. We stand by our long-established and enviable reputation and the quality of our puppies, so I don't think this is unreasonable. While this policy might put some people off, it will hopefully sort the serious people from the time-wasters. Our irresistible Chihuahua puppies born on 16 February have both been sold. We do not currently have any Pomeranian puppies available. 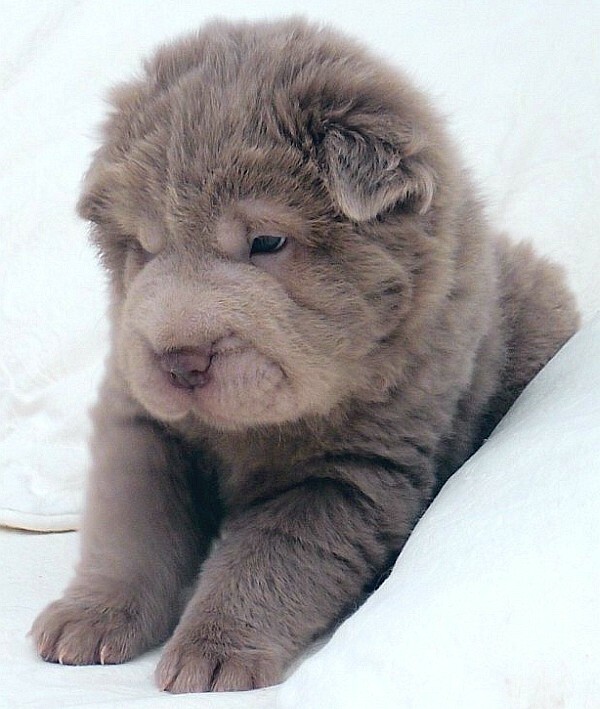 We do not currently have any Shar-Pei puppies available. A while ago a bear-coat Shar-Pei puppy in Canada became an Instagram star and subsequently went viral on the Internet. This led people to search the Internet looking for anyone who might breed and sell such puppies. Ever since then we've been inundated with emails from people around the World asking if we've got, or will have anytime soon, any bear-coat puppies for sale. Unfortunately these adorable puppies occur frustratingly infrequently, and while we'd love to have enough to go around, we're lucky if we get even one in a litter. Because of this, we gave up having a waiting list (and also because too many people turned out to be time-wasters), so if or when we have any available, we will announce this here on our website, as well as advertising them nationally and internationally. If we don't have any for sale here, please do not contact us asking if we have any or if we're expecting any in the future. If this situation changes at any time, we will update this notice. Thank you.